Samsung Galaxy S5 is the new android smartphone from the Samsung Mobile and now the first system is released by the Sammobile recently. From the system dump of the latest firmware of Galaxy S5 you can easily download the Samsung Galaxy S5 Wallpapers, in built apps, programs, ringtones etc. 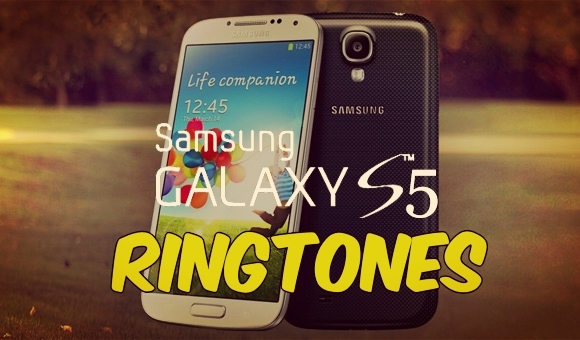 If you are the android user and want to download the latest ringtones from the S5 on your device. Here in this guide we’ll show you how you can do this easily and install the ringtones on any of your android mobile phone. All you have to download the ringtones zip package on your desktop and move the files on your mobile to set the ringtone on your phone. The zip files contains all the new ringtones of S5 smartphone like Alarms, Notification, Tones and System sounds. Start by grabbing the Samsung Galaxy S5 audio files from here, once the zip file is saved on your desktop extract the folder on your desktop. 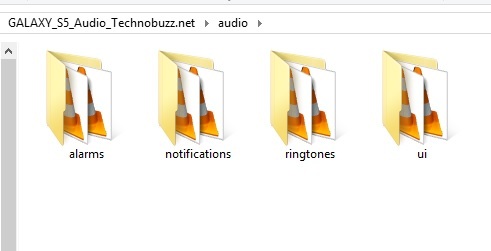 In the folder you will all the sounds of Galaxy S5. To install these files on your phone, Connect your device to the PC with USB cable and copy the “Audio” folder on your internal memory one by one. Once the process has completed, you’ll have a new “audio” folder in device with all the audio files from the Galaxy S5. If you have to rooted device then install the Root Browser application on your phone and navigate to the Galaxy S5 Audio folder, which you copied on the above step. Now move the Audio folder on your phone System folder /system/media/audio folder. Once the file are moved to the system folder, reboot your device and head to Settings -> My Device -> Sound. From here select “Ringtones” to change your ringer or “Default notification sound” to change the alert. The ringtone is very cool with nice beats.